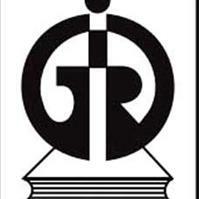 IGIDR Assistant Librarian Syllabus in Hindi 2018, IGIDR Assistant Librarian Old Question Papers Download PDF, IGIDR Assistant Librarian Recruitment 2018 – Indira Gandi Institute of Development Research, Mumbai has inviting applications to fill up Assistant Librarian Posts. Candidates who are interested they can apply offline mode before the last date. Applicants also check other details related to IGIDR Assistant Librarian Recruitment 2018 like how to apply, selection process, educational eligibility, salary, last date, exam date and more details given below. Educational Eligibility: Degree in Library Science/ Information Science/ Documentation Science or equivalent professional degree.